This topic contains 75 replies, has 23 voices, and was last updated by Stu Hastie Nov 3, 2014 at 4:12 am. Some recent attempt with a Canon G11 and housing. I think the key is that I am going to have to get wet to get better shots. 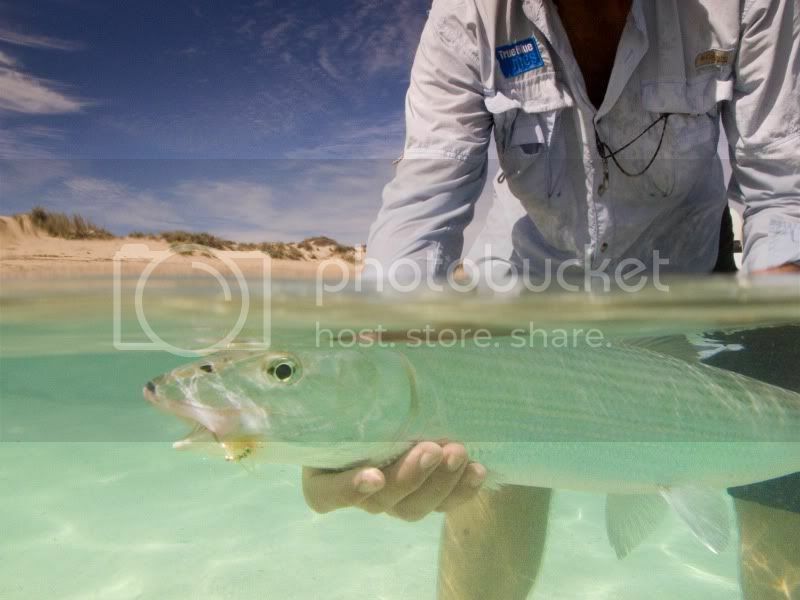 Bonefish species is Albula Forsterii. Graham….I’m intrigued by your technique using the transmitter. Photo #4 is my favorite! Are you using a weighted tripod? 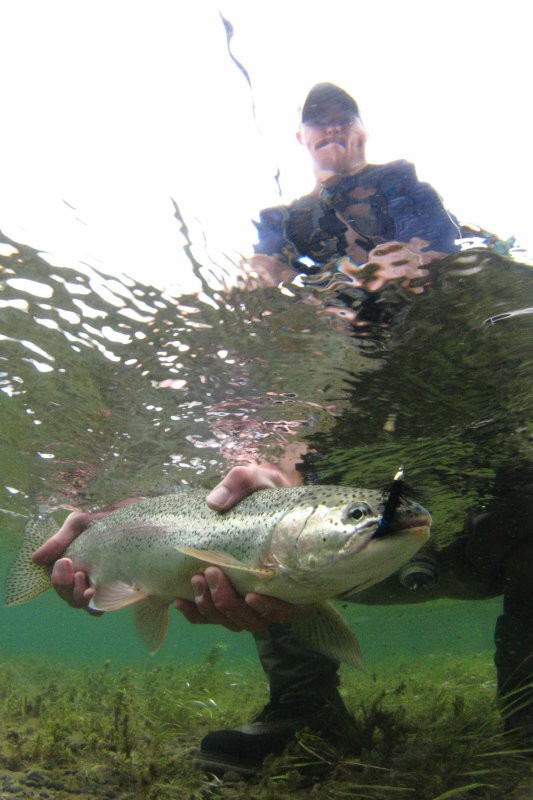 Morsie…..on the split shot….are you using a dome or a standard flat port? Great shots. Thanks for sharing your techniques and photos. 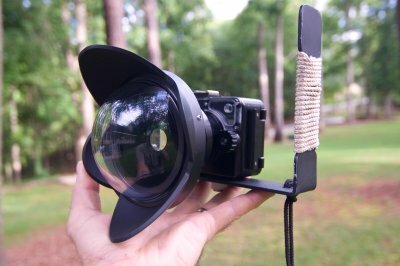 I took the plunge and bought the Fisheye Fix S90 and a Canon S90 camera. I have a dome on backorder….review forthcoming. I have one of those bags and I kinda hate it; mine is too small to allow even the D70 to be used comfortably, and the barrel is too long for any lens I own to fill it except telephotos. Steve that’s a flat port on the standard housing for a G11. I haven’t used a tripod underwater so far. Canon S90 point and shoot….very impressive camera I must say. Too many features to list but it does have RAW, aperture ring and full manual control. Fisheye Fix S90 Housing….quality housing machined from solid bar-stock aluminum. All camera functions can be operated via the housing. Fisheye Fix Dome and fisheye lens (UWL-04)….jury still out on this as I’ve only snapped a few photos but it seems to be a quality piece of equipment. I hastily pout together a homemade tray to allow for a better grip of the small housing. I may ditch the tray if I see I can handle the housing without it. I’m headed to Alaska in a few days so it should get a workout. I’ll dump a load when I get back. John….I was reluctant to make the initial investment but needed to upgrade my point-and-shoot camera anyway. After perusing numerous underwater photography websites….I’m seeing that “used” UW gear does not depreciate that much. With that said….if I don’t use it, I should be able to recoup most of my investment on the used market. I bet you use it alot in Alaska. 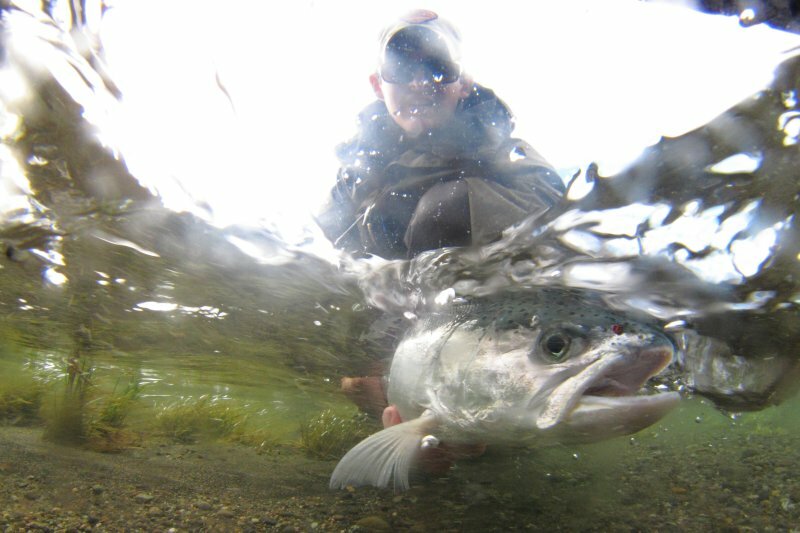 Clear water, great photo ops abound. The problem I have is our waters simply arent clear enough to take advantage. So it will likely always be a novelty thing for me. That’s a sweet looking setup Steve, I’m interested to see the results. Looks like a fantastic setup Steve .. Really looking forward to seeing some of your shots! Thanks guys. I’m leaving in the morning….I’ll post back in a couple of weeks. I’m really pleased with this setup. Lightweight, small and compact….perfect for the itinerant angler! As you can see in this photo(below)….droplets on the top half of the dome are problematic. Note to self…spit on dome. This was shot in an alpine lake so I had to be careful not to stir up sediment. The angler in the boat helped avoid this issue. I prefer the totally UW photo so as to add an abstract look and avoid the aforementioned droplet problem. I guess you could call this an underwater grip and grin. 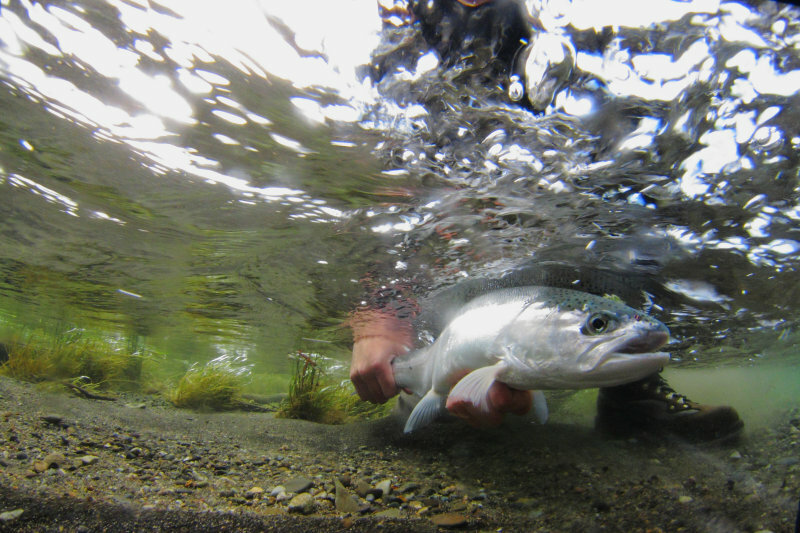 I’m still trying to perfect the action shots that Tim captured in his salmon photos. The weather was mostly cloudy during the trip….which meant slower shutter speeds and higher ISO settings. I’m still striving for the blue sky and fluffy cloud backgrounds. I also found it difficult to get the tack sharp action shots…..but with better weather….this should improve. Thanks for all the great advice on this message board. Great shots Steve. I’m wanting an S90 even more after seeing this. Steve, your shots look great! 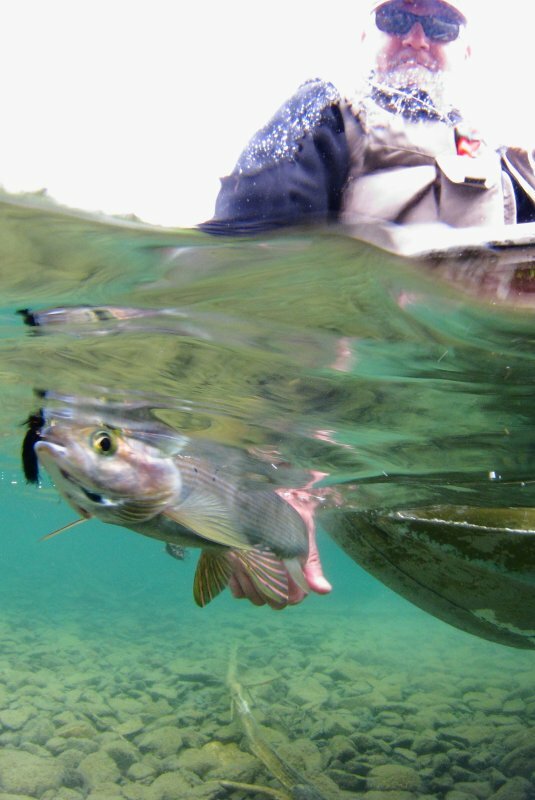 I am amazed at the water clarity but I guess thats another reason that Alaska is so special. How was the fishing? Jeez, I was glad there was sign on the side of the boat to tell us what we’d caught. 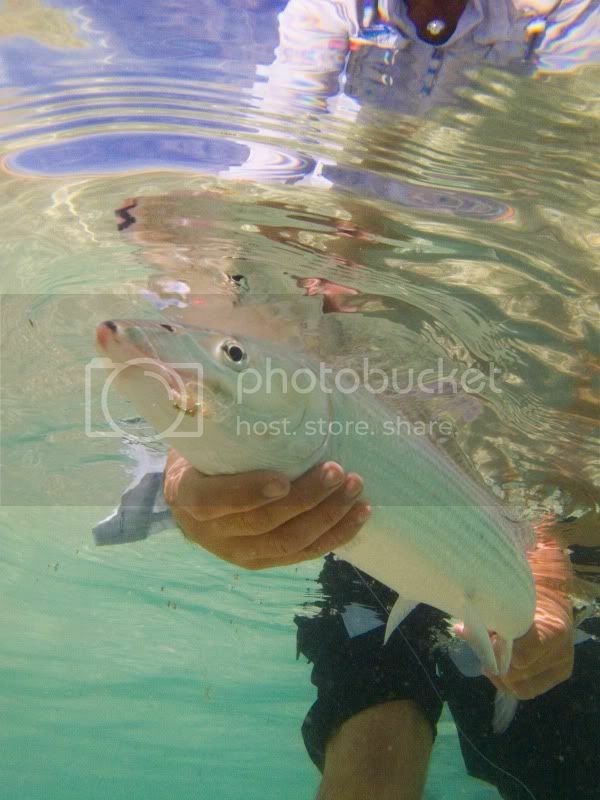 Cool, Morsie – is that a queenfish?